Neonatal Intensive Care Units can provide a model for a high level of engagement of fathers around the needs of mothers, fathers and babies. So finds a survey of 48 fathers attending the NICU at the University Hospital of Toulouse. Almost universal father-baby skin-to-skin contact. All but two of the fathers were satisfied with the healthcare team, describing them as accessible, competent and good listeners. Staff included the fathers fully in caregiving. The accessibility of the unit to wider family members, for example grandparents, though not all fathers and mothers wanted this. 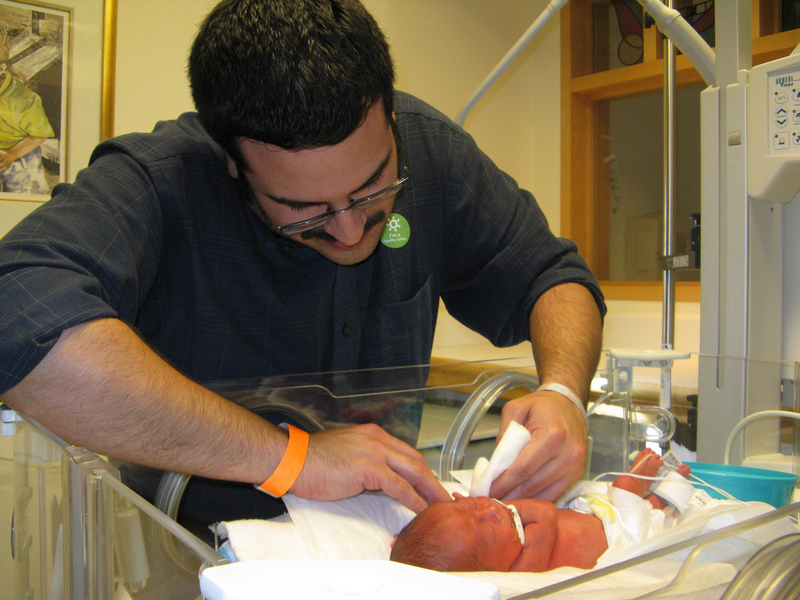 The “therapeutic alliance” between health staff and fathers in NICUs is substantial, as the health staff manage the transition of care between the first highly medicalised stage to the point where parents feel confident enough to take the baby home. Fathers’ satisfaction with the service correlated with how much they interacted with the healthcare team. This is Family Included’s vision of what all maternity care should be like. Why should it be confined to situations where the baby is unwell?